Greetings from sunny St. Thomas! We’re wrapping up another year in paradise and excited to see what 2017 has to offer! 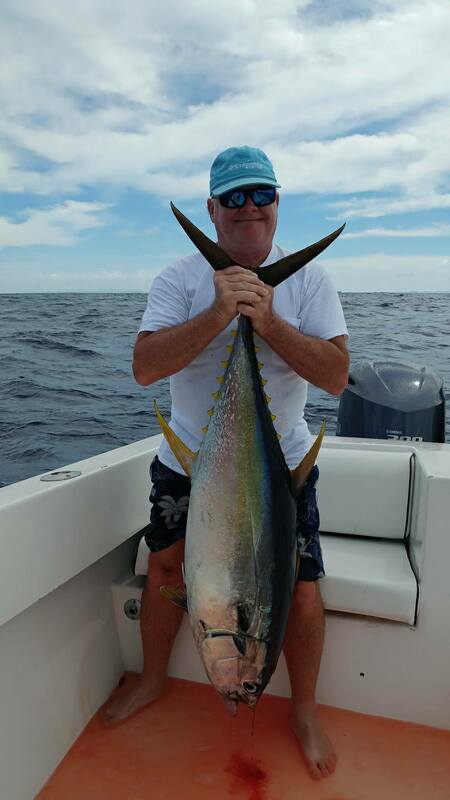 This past year we welcomed back our highest number of repeat clients aboard Emanuel, most for their 2nd charter with Capt. Alvin but many for their 3rd or even 4th trip in the past 5 years we’ve been in business! But let’s get into whats been biting and where. 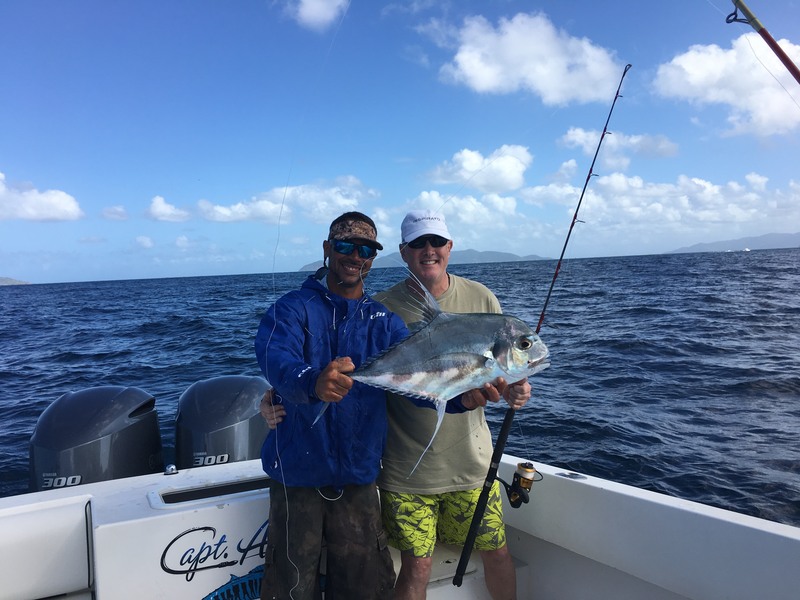 The Wahoo bite has weakened as we’ve entered the new year, a strong run through November and December along the North Drop and South Drop abruptly ended with the arrival of the Christmas trade winds. Persistent winds of 15+mph from the South, Southeast, and some days just straight East with nowhere to hide, made for difficult trolling conditions and proper presentation of streamlined Wahoo baits. Not saying the fish weren’t there, we just couldn’t effectively target them or conditions too unpleasant in the offshore grounds. These winds have however propped up the Mahi-Mahi migration and the mornings so far in January we have been able to get out there and have yielded multiple fish in the 30lbs+ class. The recent high winds and choppy conditions forced many of our trips inshore and the fishing definitely did not disappoint. 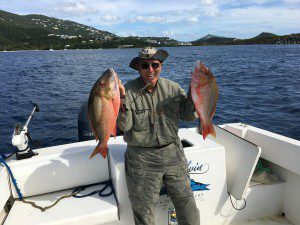 Yellowtail Snapper, Mutton Snapper, Barracudas, Kingfish, Tarpon and Blackfin Tunas made for exciting light tackle action along the St. Thomas coastline. Bait has been plentiful over many of the reefs and wrecks and in the cays along the southeastern part of the island, contributing to the consistent bite we experienced. We hope you’ll get out on the water with us if you’re planning a visit to St. Thomas or St. John! 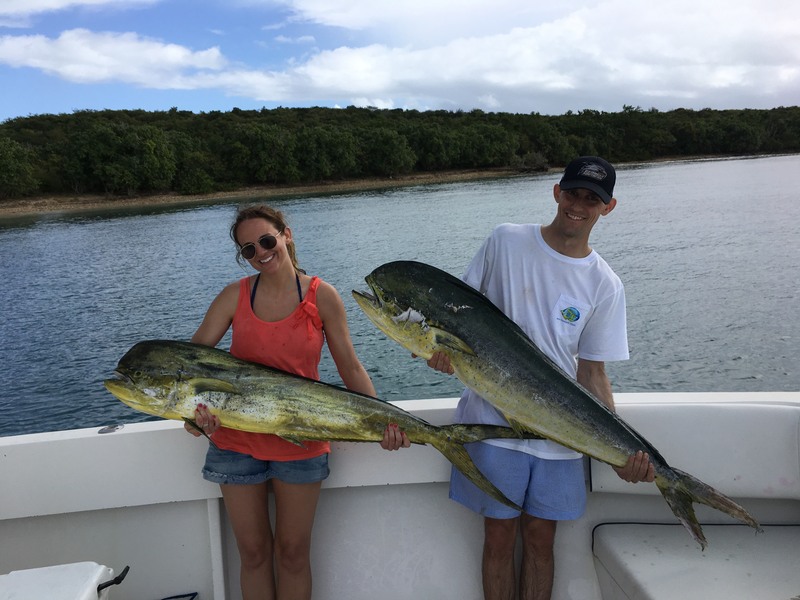 Our spring dates are filling up quickly so be sure to reach out to us if you’re looking to get in on the upcoming Yellowfin and Mahi run in the next couple of months!